You guys! We made it! We’re in Canada now! Everyone is here, and everyone is freezing – but I am so beyond stoked right now. 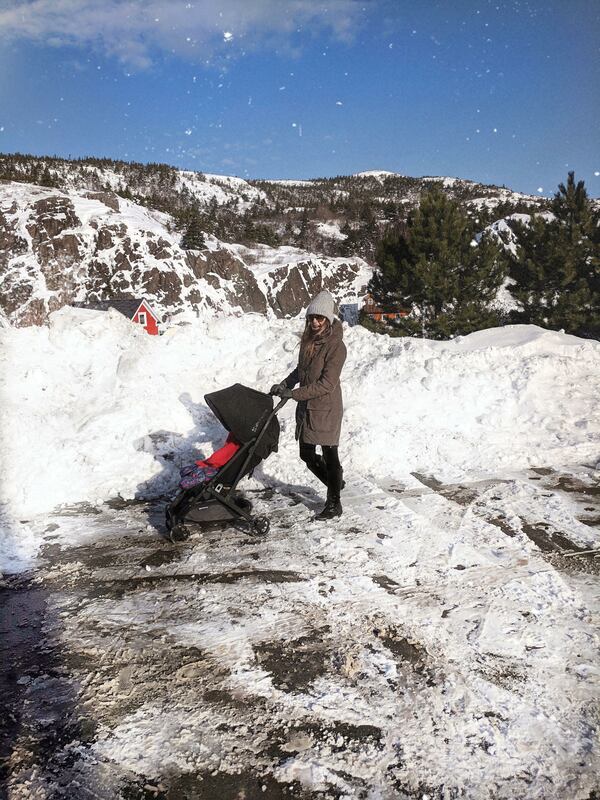 I haven’t been back to Newfoundland during snowy season in two years. I can’t believe it – that time flew by I guess because I definitely don’t miss snow (did I mention that it’s SO cold here? ), but appreciate it for the short time that I’m fully in it. The last time I was home during winter, was the extended trip when my Father had passed away in 2016. We used to head home regularly, but last year was full of Alfie’s cancer appointments, and me being super-pregnant and unable to travel. 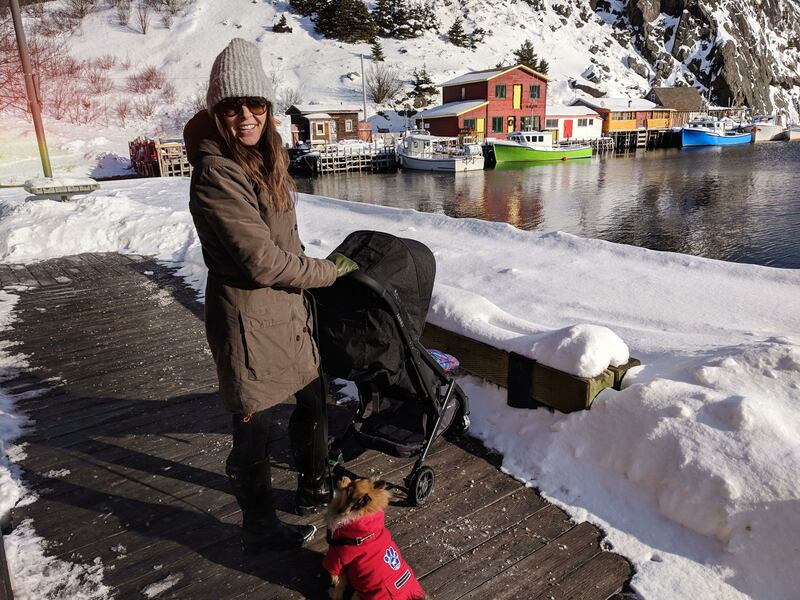 We’ve headed home to Newfoundland on a happier note this year as we bring home our sweet little California baby, to introduce him to his grandparents, aunts, uncles, and cousins for the first time. He’s not getting a ton of naps in during the day because of all the goin’-on’s, but he’s so tired come bedtime he’s almost sleeping through the night. Almost. Hallelujah. It’s the first time that we traveled anywhere as a family of four including Alfie. I mean really, he never not joins us. Navigating the airport was thankfully not so bad since we checked two suitcases and that lessened our load of carry-ons. Bebs did better than expected on the two long flights back to Newfoundland, and only screamed once or twice ;) My tips (that other Mom-friends told me – I can’t take any credit) – bring all the snacks, allow all the cartoons, change babys diaper before you board. I ended up bringing a new toy, and his favourite teddy bear. I guess a 10 month old baby is somewhat easy to entertain (ie: he was playing with a plastic drinking cup when the airline gave me a drink of water). Score. We ended up getting the UPPAbaby MINU for the trip home. I first saw the UPPAbaby MINU advertised online, then my Mom-pal Emily ended up getting one for her little boy (who is just a few weeks younger than bebs). When I saw it in person, I loved it. 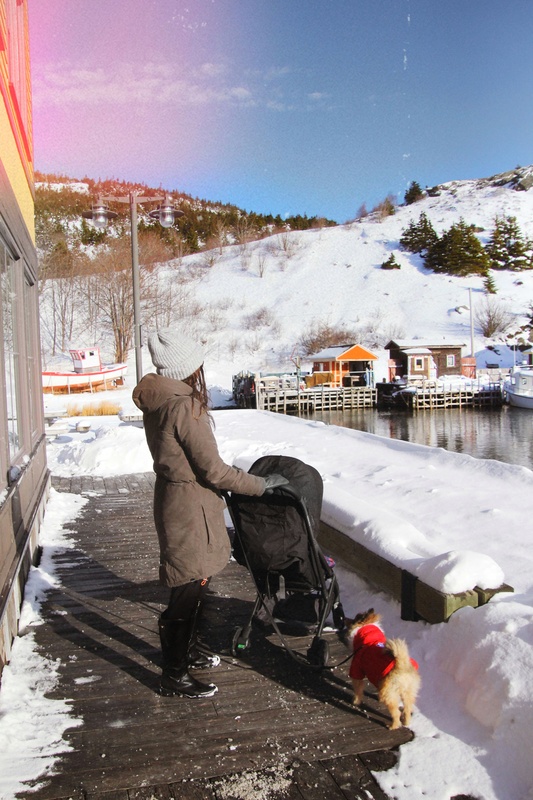 As you might know, we have the UPPAbaby VISTA too. The MINU is significantly lighter: VISTA weighs 26.6lbs, MINU is less than 15lbs! It really packs a punch, with an amazingly sturdy frame. We simply didn’t want a lot of added weight to cart home, or more importantly, carrying it all throughout the airport. I love that the MINU is a one-hand action fold. I literally was carrying bebs in one arm and did the quick one-handed fold, then strapped it onto my one shoulder when it was time to board the plane. 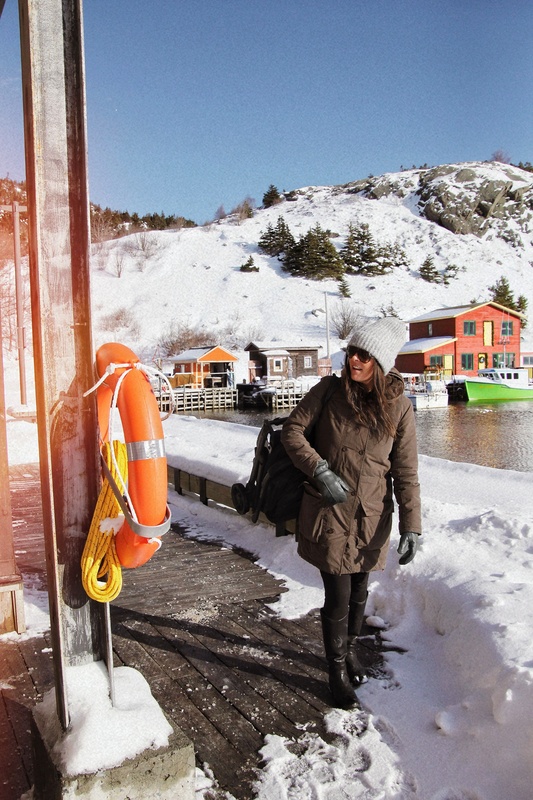 So follow along my Instagram for the next little while, as I show you how I easily use the UPPAbaby MINU around St. John’s, Newfoundland Canada for our daily excursions in the great Canadian winter! 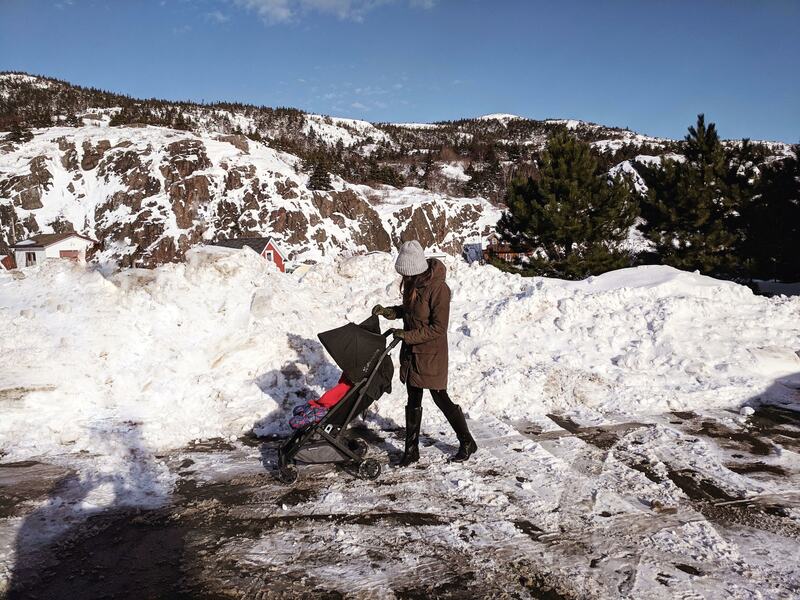 Featuring the Jake (Black Mélange/Carbon/Black Leather) UPPAbaby MINU stroller. Holiday Gift Guide| Gifts they’ll actually use! One of my favourite round-up posts to do at the end of each year is a Holiday Gift Guide. I’ve been doing these sort of posts for countless years on my blog and I love showing you my top picks I’ve found over the last year, and oldies but goodies that I’ve been using for years on end. 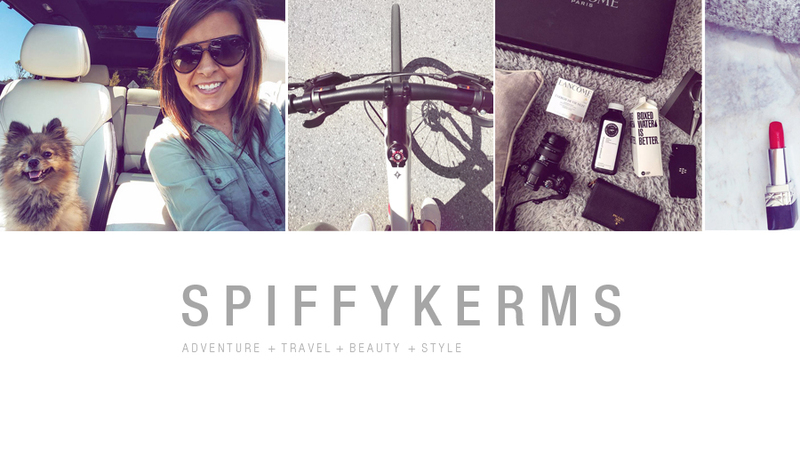 Let’s get cookin’ and dive right into the Spiffykerms Christmas & Holiday Gift Guide! 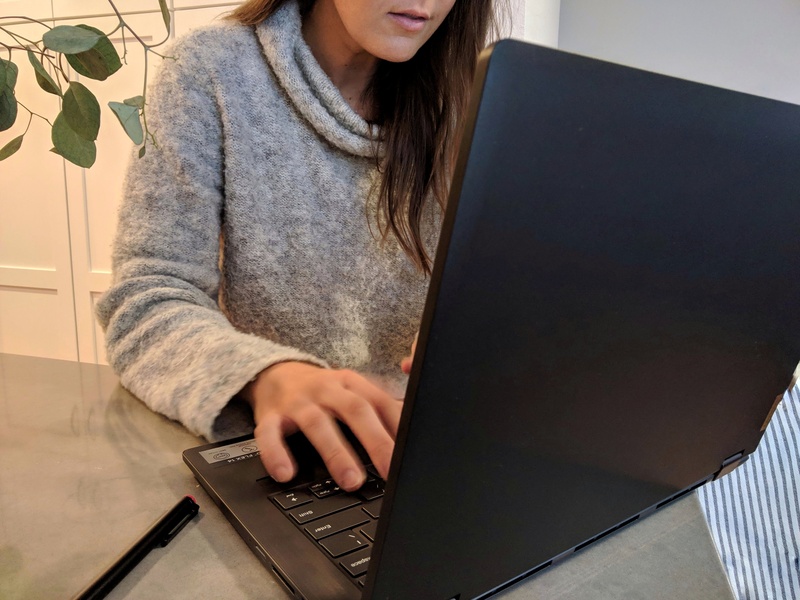 Lenovo Flex | This is a new yoga book One of my favourite features definitely has to be the 360° hinge that effortlessly switches you to tablet to laptop mode and back. We will be bringing this with us back to Canada for entertainment both on the airplane ride back. Canon G7X Mark II| My husband bought me the infamous Canon G7X for Christmas last year and it was the biggest (and best!) surprise. I’ve been wanting one for a few years, and finally got my hands on it. I use it mainly for taking videos and photos of my baby. But one day I’ll start up my YouTube channel again once I make time for it again! 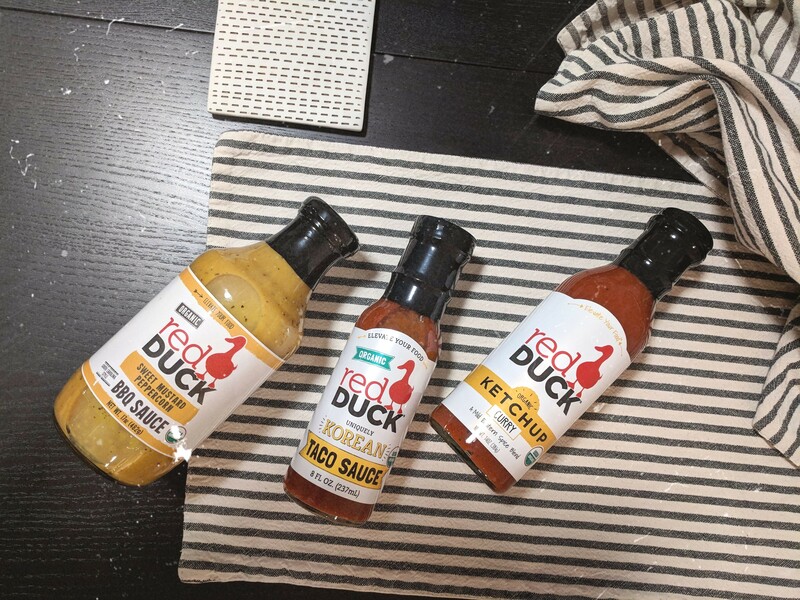 Red Duck| This is the “So Unique” package of Red Duck sauces which consists of Red Duck Curry Ketchup, Sweet Mustard Peppercorn BBQ and Uniquely Korean Taco Sauces. It’s a small, women-opened condiment company that makes organic ketchups, BBQ sauces and cocktail sauce. So tasty. I threw half a jar of the Red Duck Ketchup in the slow cooker (with other ingredients) with some chicken, to make a “sticky chicken” recipe, and it was fantastic. It’s all gone now, but I used the entire jar (because we have salmon aka”fish friday” every friday) of Red Duck Sweet Mustard Peppercorn BBQ sauce on both sides of the salmon. Roast it in the oven for 30 minutes at 350 and you’re golden. 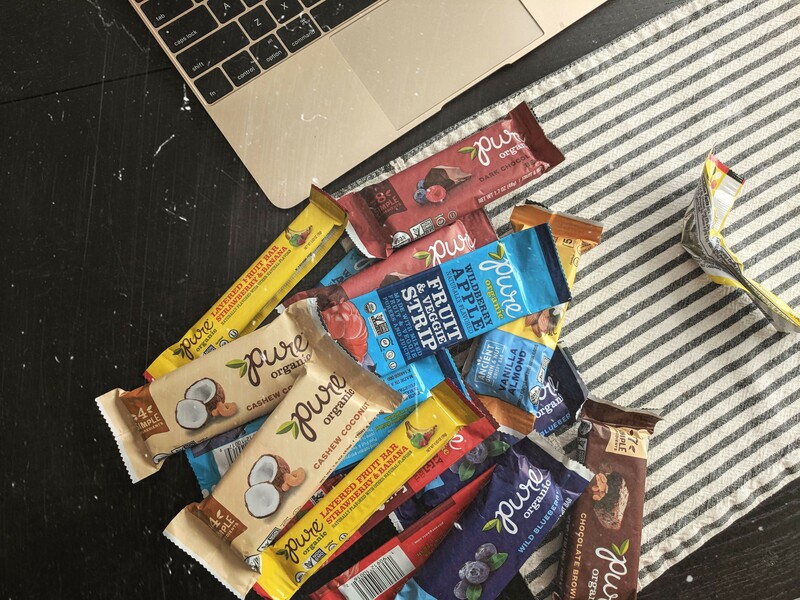 Pure Organic| These bars only 4-8 ingredients. The tiny layered bars you see on top there (yellow packaging) was my favourite. Definitely a sweet treat, made with fruit and vegetable puree. You can get them basically everywhere nowadays: Amazon, Target, Thrive Market, Costco, etc. The snacks are USDA-certified organic and non-GMO project verified. They use no soy or dairy ingredients in the recipes, and our Pure Organic products are also certified gluten-free and kosher. KitchenAid Mixer| Now this is only new-to-me in the last month or so. But I finally bought myself a KitchenAid mixer and I’m loving it. I ended up getting a 5qt Artisan one. Although I’m not much of a baker, I’m still pretty happy I ended up getting it (on sale, too and I used a gift card!). Anyone have some great recipes to share with me to put this thing to good use? Birdrock Baby| Long time lover of Birdrock Baby booties over here. Each pair purchased feeds a chid in need. I love supporting small businesses, but also one’s that give back. My beb’s has been wearing them since day 1. I looked back on the day we brought him back home from the hospital and he was wearing them! I’ve received a few pieces via PR samples, but I’ve bought a ton of them too, both for beb’s and for gifts for his baby-friends. Use the code SPIFFY10 for a discount upon checkout. California Baby| Like Birdrock Baby, California Baby is a brand I love, and support, and have been using as soon as I started bathing my baby, and putting lotions on him. Recently, the lotion shown here on my Instagram is certified by the USDA to be 100% Plant-based. 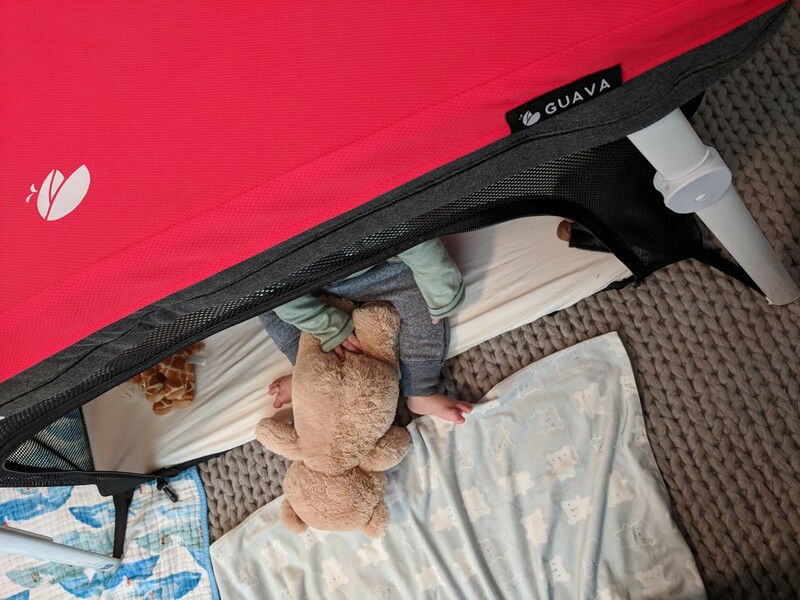 Guava Travel Lotus| Labeled as a portable lightweight travel crib, we keep the Lotus set up in our living room as a safe play area for bebs when I have to leave him alone for a minute or two, say when I fetch the laundry, or feed Alfie. But when we do travel, we’ll definitely be packing this up and loading it into the car. It folds up really easily, and he’s already comfortable with being in there, I know he’ll have no trouble adjusting to it when we need to set it up in a hotel room or something similar, in the future. Sound machine| I shared this back in May, but any sound machine will work (or even an app on your phone). It gives my baby consistency of knowing when its nap time (when I turn it on, then put him into a sleep sack, he automatically knows it’s sleepy-time). Burt’s Bees| Long time fan/user of Burt’s Bees products, especially their lip balms. Their Holiday Gift Collection is in stores now and everything is under $25. I’m picking a few of these sets up for my family/friends (I hope I didn’t ruin that by posting it here…). I love the little gift/makeup bags that some of the products come in too. Here are a few of my faves: Burt’s Bees Essentials Travel Kit, Mistletoe Kiss, and Naturally Soft Hands. PJs| Who doesn’t love a new pair of PJs? I love to shop Target, H&M, or Forever 21 for them. I wish I snagged up these striped ones from Target when I had the chance. Darn. I ended up buying these red and white striped one’s from Amazon the other day. Can’t wait! Leggings| I’m all about comfort this year. I live in leggings. I picked up a handful right after Black Friday from Forever21 when I took bebs to the mall for his Santa pictures (p.s. which was ADORABLE). I’m all about the the velvet this year. Silicon Wedding Bands| I guess this isn’t just for him, since I bought a package for myself earlier this summer. It’s all I’ve been wearing since I scratched my baby once with my real wedding set and felt so guilty. These are great since the don’t bother my sensitive skin, and obviously don’t scratch little ones! 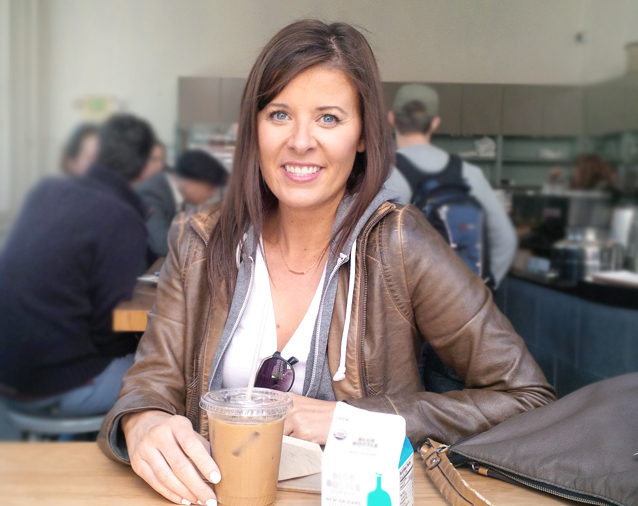 Clip-on lenses for your phone| These are so neat, and don’t distort your photos. You simply clip it on your phone and snap away. Great bang for your buck. Milk Frother| I bought this for the family last Christmas and I gotta be honest, I’m not the one who makes the coffee in the household on the weekends, Mr. Spiffykerms does. 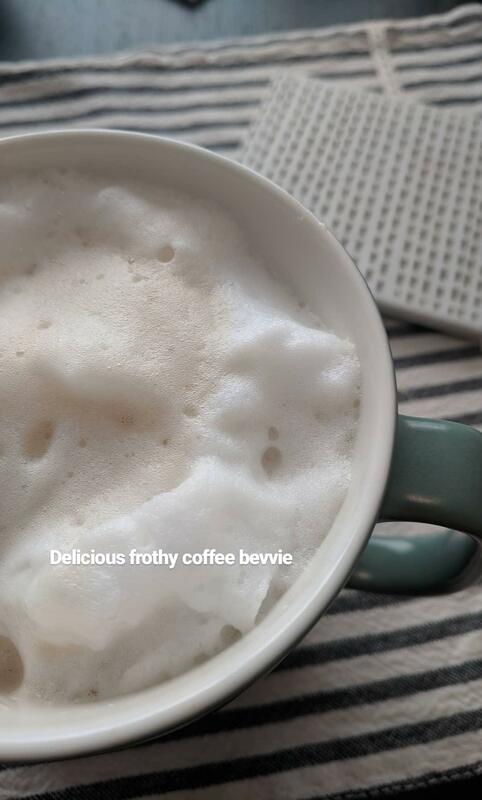 But he makes me a fancy frothy coffee bevvie on the weekends (add sugar free vanilla syrup and I’ll melt! ), and they’re so delicious with this milk frother. We use skim milk, and it still froths well! Fancy mugs and a gift card| Target’s dollar spot has cute gift card holders this year (santa’s with a zipper on the top, so it’s totally reusable! ), so snag one up, go to the person’s fave coffee shop and pick up a gift card and/or a mug, and there you have the gift. Well pals! That concludes another Holiday Gift Guide on Spiffykerms.